Sonnenfeld, Joseph. 1952. "Development of the Resources of the Warm Springs Indian Reservation." Honors thesis, Natural Resources, Oregon State College, Corvallis, OR, 68 pp. Sonnenfeld, Joseph. 1956. "Changes in Subsistence Among the Barrow Eskimo." Project ONR-140. Washington, DC: The Arctic Institute of North America, 602 pp. Sonnenfeld, Joseph. 1959. "An Arctic Reindeer Industry: Growth and Decline," Geographical Review, 76-94. Sonnenfeld, Joseph. 1960. "Changes in an Eskimo Hunting Technology, an Introduction to Implement Geography," Annals of the Association of American Geographers 50(2): 172-186. Sonnenfeld, Joseph. 1962a. "Interpreting the Function of Primitive Implements: The Celt and the Hoe," American Antiquity 28(10): 56-65. Sonnenfeld, Joseph. 1962b. "Prehistoric Technology: Functional Interpretations and Geographical Implications," The Professional Geographer 14(2): 4-8. Sonnenfeld, Joseph. 1965a. "A Behavioral Approach to Cultural Geography," Annals of the Association of American Geographers 55(4): 648. Sonnenfeld, Joseph. 1966. "Variable Values in Space and Landscape: An Inquiry into the Nature of Environmental Necessity," The Journal of Social Issues 22(4): 71-82. Sonnenfeld, Joseph. 1969a. "Equivalence and Distortion of the Perceptual Environment," Environment and Behavior 1(1): 83-99. Sonnenfeld, Joseph. 1969b. "Personality and Behavior in Environment," Proceedings of the Association of American Geographers 1: 136-140. Sonnenfeld, Joseph. 1969c. "Stress in the Arctic as a Perceptual Phenomenon," Anthropological Journal of Canada 7(1): 13-18. Sonnenfeld, Joseph. 1970a. "The Geopolitical Environment as a Perceptual Environment," The Journal of Geography 69(7): 415-419. Sonnenfeld, Joseph. 1971. "Monadic and Dyadic Approaches to the Study of Behavior in Environment," Proceedings of the Association of American Geographers 3: 165-169. Sonnenfeld, Joseph. 1972a. "Social Interaction and Environmental Relationship," Environment and Behavior 4(3): 267-278. Sonnenfeld, Joseph. 1974a. "Community Perceptions and Migration Intentions," Proceedings of the Association of American Geographers 6: 13-17. Sonnenfeld, Joseph. 1974b. "Environmental Perception, Personality, and Behavior: The Texas System," Man-Environment Systems 4(2): 119-125. Sonnenfeld, Joseph. 1977. "Cerebral Specialization and Environmental Behavior," Man-Environment Systems 7(4): 188-193. Sonnenfeld, Joseph. 1978a. "Cerebral Correlates of Environmental Skills," Man-Environment Systems 8(5): 241-251. Barr, Ronald E., James Ackmann, & Joseph Sonnenfeld. 1978. "Peak-detection Algorithm for EEG Analysis," International Journal for Medical Informatics 9(6): 465-476. Sonnenfeld, Joseph. 1982a. "Egocentric Perspectives on Geographic Orientation," Annals of the Association of American Geographers 72(1): 68-76. Sonnenfeld, Joseph. 1983a. "Choosing Between Environmental and Community Priorities," Transition 12: 13-20. Sonnenfeld, Joseph. 1985. "Tests of Spatial Skill: A Validation Problem," Man-Environment Systems 15(3-4): 107-20. Sonnenfeld, Joseph. 1990. "Environmental Toxins and Other Influences on Academic Performance," Transition 17(2): 2-15. Sonnenfeld, Joseph. 2002. "Social Dimensions of Geographic Disorientation in Arctic Alaska," Études/ Inuit/ Studies 26(2): 157-173. Sonnenfeld, Joseph. 1967. "Environmental Perception and Adaptation Level in the Arctic." Pp. 42-59 in Environmental Perception and Behavior, ed. David Lowenthal. Dept. of Geography Research Paper No. 109. Chicago, IL: The University of Chicago. Sonnenfeld, Joseph. 1972b. "Geography, Perception, and the Behavioral Environment." Pp. 244-251 in Man, Space, and Environment: Concepts in Contemporary Human Geography, eds. Paul Ward English & Robert C. Mayfield. New York: Oxford University Press. Sonnenfeld, Joseph. 1976a. "Multidimensional Measurement of Environmental Personality." Pp. 51-66 in Spatial Choice and Spatial Behavior: Geographic Essays on the Analysis of Preferences and Perceptions, eds. Reginald G. Golledge & Gerard Rushton. Columbus, OH: Ohio State University Press. Sonnenfeld, Joseph. 1976b. "Imposing Environmental Meaning: A Commentary." Pp. 254-257 in Environmental Knowing: Theories, Research, and Methods, eds. Gary T. Moore & Reginald G. Golledge. Stroudsburg, PA: Dowden, Hutchinson and Ross. Sonnenfeld, Joseph. 1978b. "Resource Perceptions and the Security of Subsistence." Pp. 15-24 in Dimensions of Human Geography: Essays on Some Familiar and Neglected Themes, ed. Karl W. Butzer. Dept. of Geography, Research Paper No. 186. Chicago, IL: The University of Chicago. Sonnenfeld, Joseph. 1982b. "The Communication of Environmental Meaning: Hemispheres in Conflict." Pp. 17-29 in Nonverbal Communication Today: Current Research, ed. Mary Ritchie Key. Contributions to the Sociology of Language 33, ed. Joshua A. Fishman. Berlin: Mouton Publishers. Sonnenfeld, Joseph. 1984. "Philosophical Directions in Environmental Perception and Behavioral Geography: A Commentary." Pp. 225-233 in Environmental Perception and Behavior: An Inventory and Prospect, eds. Thoms F. Saarinen, David Seamon, & James L. Sell. Dept. of Geography, Research Paper No. 209. Chicago, IL: The University of Chicago. Sonnenfeld, Joseph. 1988. "Abilities, Skills, Competence: A Search for Alternatives to Diffusion." Pp. 194-213 in The Transfer and Transformation of Ideas and Material Culture, eds. 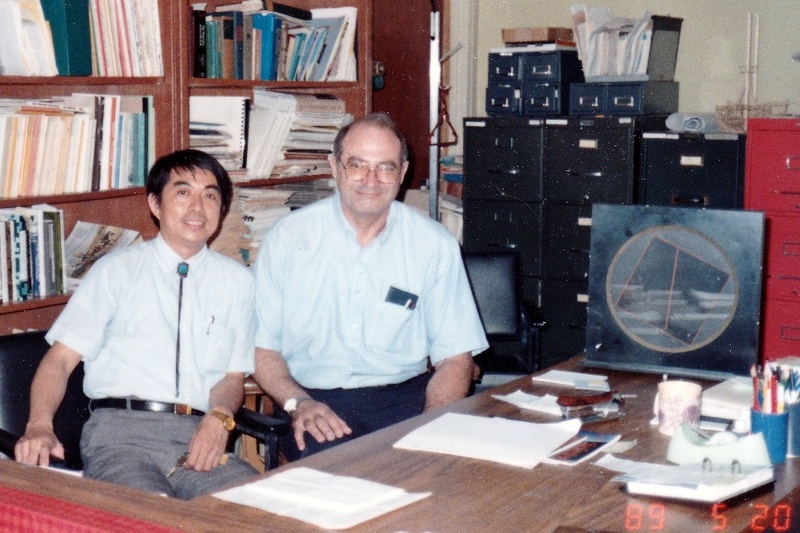 Peter J. Hugill and D. Bruce Dickson. College Station, TX: Texas A&M University Press. Sonnenfeld, Joseph. 1970b. "Behavioral Dimensions of Cultural Geography." Paper presented at the annual meeting of the Association of American Geographers, San Francisco, CA, August 24. Sonnenfeld, Joseph. 1972c. "Social and Environmental Associations in Idealized Communities." Paper presented at the annual meetings of the Southwestern Social Science Association, San Antonio, TX, March 30-April 1. Sonnenfeld, Joseph. 1983b. "Problems in the Study of Spatial Behavior: Field Methods and Ethics." Paper presented at the annual meeting of the Association of American Geographers, Denver, April 24-27. Sonnenfeld, Joseph. 1963. "Readings in Cultural Geography, eds. Phillip L. Wagner and Marvin W. Mikesell," Technology and Culture 4(2): 247-251. Sonnenfeld, Joseph. 1983c. "The Pure Experience of Order: Essays on the Symbolic in the Folk Material Culture of Western America, by Richard C. Poulsen," Journal of Historical Geography 9(4): 422-423. Sonnenfeld, Joseph. 1964. "Climatic Attitudes and Sensitivities of Eskimo and Non-Eskimo in the Barrow Region of Arctic Alaska." Report on Contract ONR-334. Department of Sociology, Anthropology and Geography, University of Alaska, 6 pp. Sonnenfeld, Joseph. 1992. GEOG 439, "Behavioral Geography". Syllabus. Texas A&M University. Fall. Curriculum Vitae,	August 1, 2002. Burton, Ian. 1968. "Environmental Perception and Behavior, ed. David Lowenthal" [book review], Natural Resources Journal 8 (July): 549-552. Kimber, Clarissa, & Peter J. Hugill. 2000. "Berkeley-on-the-Brazos and other pipe dreams: history of the Department of Geography at Texas A&M University," Southwestern Geographer 4: 99-120. Manners, Ian R., & Marvin W. Mikesell, eds. 1974. Perspectives on the Environment: Essays Requested by the Panel on Environmental Education, Commision on College Geography. Publication No. 13. Washington, D.C.: Association of American Geographers. Joseph Sonnenfeld's Arctic research materials ("Joseph Sonnenfeld Papers", accession number 2017-046) are archived in the Archives and Manuscripts section, Alaska and Polar Regions Collections & Archives, Elmer E. Rasmuson Library, University of Alaska Fairbanks, Alaska. Note: additional links will be added as further information becomes available.